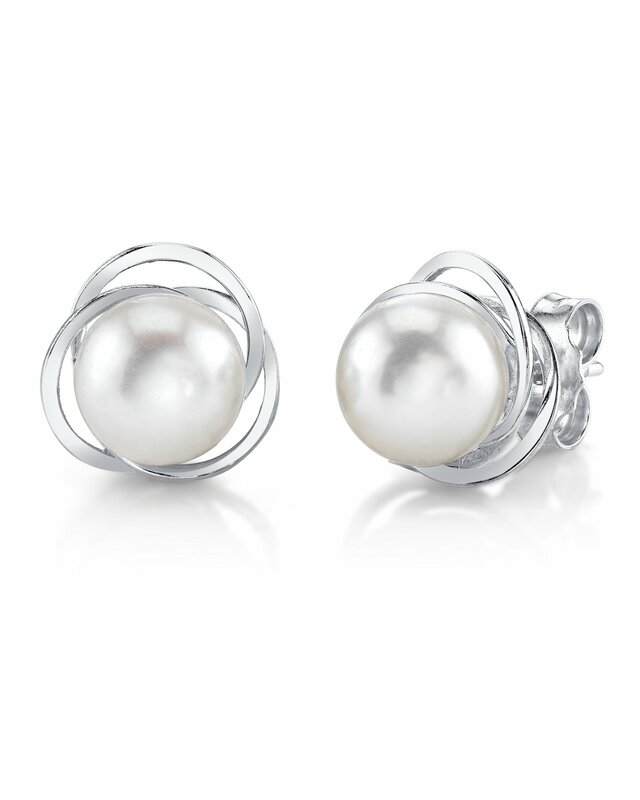 These beautiful pearl earrings add a touch of class to every occasion. The earrings feature two AA+ quality, 7.5-8.0mm Akoya cultured pearls, hand-picked for their gorgeous lustre and surface. The pearls are mounted on the finest 14K gold. All pearl earrings are approved by our staff of GIA pearl experts and come packaged in a beautiful jewellery box. Please view the options below to customize your earrings. If you have any further questions regarding our jewellery, please feel free to speak to one of our pearl experts over the phone by calling 866-87-PEARL (866-877-3275) at anytime. This made a great gift. The pearl was awesome. I had to buy a different necklace. Overall, I would buy again!